Saint Steven passed his life in ascetical discipline in the Monastery of Saint Sabbas, from whence also he received the name Sabbaite. He was consecrated bishop and reposed about the year 790, bequeathing to the Church a number of melismatic troparia. Planting a paradise of flourishing virtues, which with the streams of thy divine tears was watered, O all-famed Steven, thou didst gain the Tree of Life. Wherefore, by thy fervent prayers, save thy flock from corruption; them that warmly honour thee do thou save from temptation, for we have all obtained thee, O wise Saint, through faith and love as our most mighty advocate. 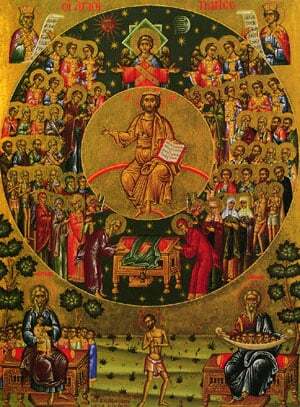 Share the feast of Our Righteous Father Steven the Sabbaite with an icon greeting ecard.